During its meeting on Tuesday, September 18th, the Visionary Leadership Community (Administrative Team) reconfirmed its tentative decision from August 21st to enter into a six-month pilot project on providing limited grants from restricted funds being held by CMBA in designated accounts. Purpose: On a regular basis CMBA receives restricted designated funds for various ministries that support the starting and strengthening of congregations as missional communities. Our One Priority Grants exist to provide financial resources to congregations engaging in efforts consistent with the funds provided to CMBA. Use of Funds: At the current time funds received can be used for starting new congregations, congregational revitalization, hunger ministry, disaster response, scholarships for ministry preparation and/or seminary education. In many cases the funds available are small amounts. The most plentiful funds are in the area of hunger ministry. Pilot Project: This is a new initiative of CMBA. 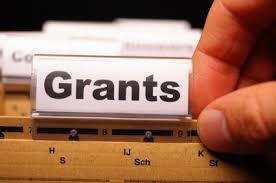 A pilot project period of August 21, 2018 through March 31, 2019 will be used to see the value of grants made and to determine long-term any additional or modified grant guidelines other than those stated here. Who May Apply? Any member church of CMBA who is making annual undesignated contributions to the CMBA budget may apply for a grant by completing a grant request and forwarding it to the Director of Missions for the CMBA. When to Apply? During the pilot project period applications may be made between August 21, 2018 and March 12, 2019 to the Director of Missions for the CMBA. Who Decides on Grant Approval? Grants will be approved by the Visionary Leadership Community upon the recommendation of the Director of Missions based on internal guidelines they have approved. Limitations: Funds given to churches are not intended to pay salaries or fringe benefits for personnel. Grant Reports: Churches receiving grants are asked to (1) provide a short report as to how the funds are used and the impact of their missional efforts.